When there is not much snow on the ground during winter weekends, our family finds ourselves hunting for accessible adventures. We found a road trip to a new-to-us weekend farmers’ market is always a highlight. There’s a thrill to discovering local farms and artisans. All of us enjoy chatting with vendors, sampling new foods, and of course, shopping for all nature of good things. For MP and DP, a visit to a local market is also a welcome respite from our weekly grocery store visits. Our team recently had the opportunity to check out “Dinosaurs Unearthed” at Portland Science Center. The interactive exhibit is like Jurassic Park come to life. Families will find thirteen fully animatronic dinosaurs that were created by paleontologists and researchers to make the dinosaurs appear as close to the real thing as possible. The exhibit is particularly exciting for Portland, as the show marks its debut in New England. Our family loves discovering new hiking trails in New England. 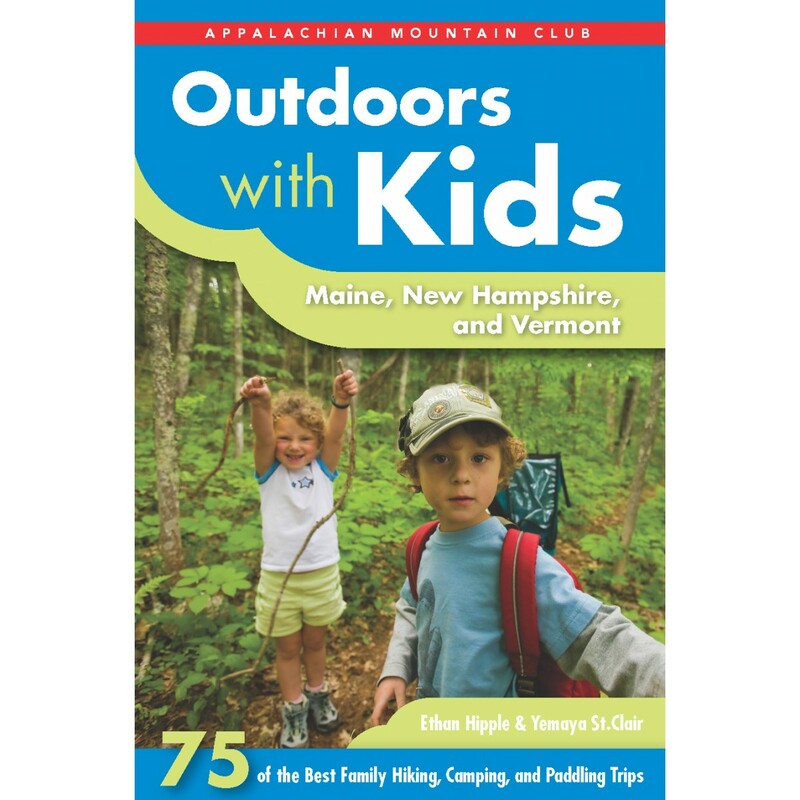 The Appalachian Mountain Club (AMC) book, “Outdoors with Kids: Maine, New Hampshire, and Vermont” features 75 of the best family hiking, camping, and paddling trips in our region. There are some familiar trails highlighted, including favorites like Mackworth Island, Bradbury Mountain, and Gilsland Farm, but there are dozens more—both in coastal and inland Maine—that we have yet to explore. 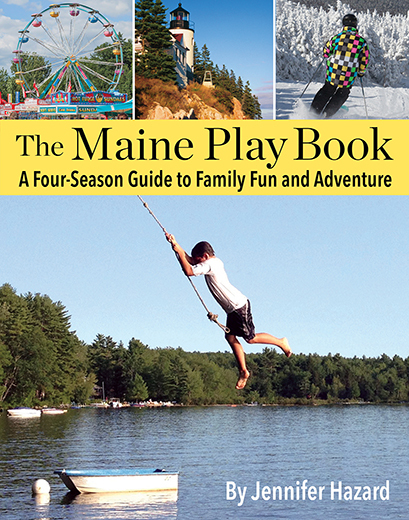 MP also loves that there is a quick, at-a-glance guide that gives parents an idea of what to expect, including trail difficulty, whether or not you can bring dogs, park fees and more handy information. Our family was looking forward to visiting friends in Providence for our first children’s film festival over February break, but the weather didn’t cooperate. While Maine escaped a blizzard, Rhode Island was hit with a big snowstorm and we cancelled the trip. MP was so disappointed. She figured the kids would have to wait until next year for the experience. Then MP received a note from Portland-based mom, Lauri Boxer-Macomber, detailing the city’s upcoming children’s film festival. 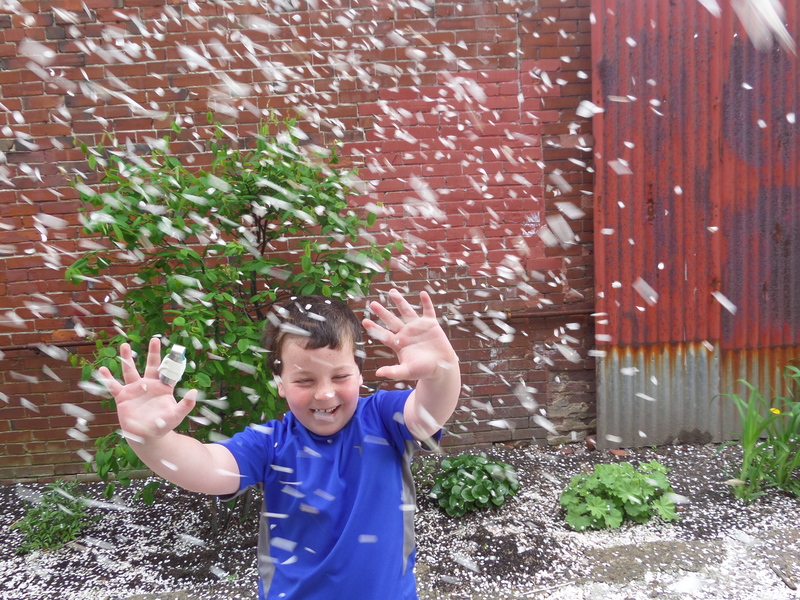 The event, now in its 4th year, benefits the East End Community School, a K-5 public school in Portland. According to Lauri, one the festival’s main goals is to create lasting connections within the community through films. The entirely volunteer-run festival, which begins Wednesday, March 25th and runs through Sunday, March 29th, features everything from animated short films for little ones to documentaries for teens. Each film focuses on a different part of the world in an effort to create a global awareness for young audiences. The films will be shown at several venues around Portland, including Space Gallery, The Portland Museum of Art, and The Portland Public Library, to name a few. Twenty-six-year-old LEGO Master Model Builder, Ian Coffey, was in Portland for the Old Port Festival in early June, sharing his incredible building talents with the masses. MP had the opportunity to chat with Ian, learn how he became a LEGO Master Model Builder, and what it’s like to work at the new LEGOLAND® Discovery Center in Boston. Ian in Portland during Old Port Fest.